Does your home have dirty, cracked or missing grout? If you answered "yes" you're NOT alone. Here in the Northwest we have a high volume of moisture that causes grout lines to weaken, crack and become moldy as time passes. We repair leaky showers, discolored grout, moldy grout and even missing grout on a regular basis. Our professional grout technicians have the experience to take care of any grout problems you may be facing. Give us a call today. On-site estimates are always FREE. First, our grout experts put down drop cloths to ensure the highest level of cleanliness while working in your home. 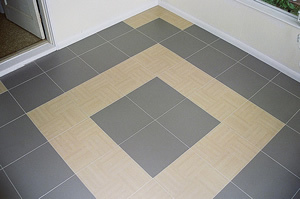 Then, we begin by cleaning the tile and the grout joints with a professional grade tile and grout cleaner. "No bulky machinery here, just good old elbow grease." Now that the tile is clean and the grout is ready to be removed, using our special grout removal tools, we carefully start removing it. After all of the non-sanded grout has been removed, our grout specialists do a little clean up again, and now we are ready to re-apply a fresh coat of grout. Once the new grout has thoroughly cured, we begin the sealing process. 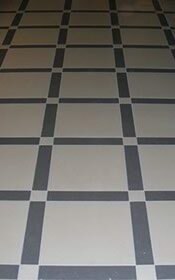 Tile Pro of Seattle uses an impregnating tile and grout sealer to waterproof grout lines and lock in original grout color. We also make sure to wipe away any excess sealer to ensure a beautiful shine. Q: How long does the re-grouting process take? 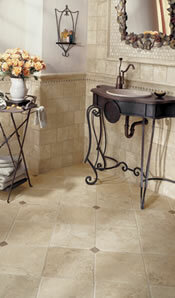 A: Typically Tile Pro of Seattle needs only 1 day to re-grout most surfaces. Q: Can I change my grout color? A: Yes. We have many colors to choose from. Please call us for more details. We appreciated all your hard work and prompt grout service. If you can imagine it, we can install it.